People look online first to research before they make a decision. Most businesses do have some sort of online presence. 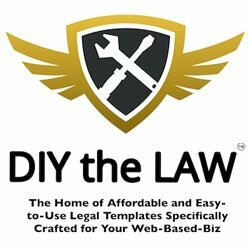 Your competitors probably have a website! It increases your business’s credibility. A website is there for your customers 24/7. Can you see why having a website is important? A lot of small businesses dismiss the idea simply because they think it’ll be expensive, difficult and / or time consuming, but it doesn’t have to be. Expensive – Can be! It’s the most expensive option out of the three. Difficult – Not at all with the right designer/developer. Time consuming – No. There should be some prep work for you to do but then it’s over to the designer. Hiring a professional is the easiest way to create a website but it can be expensive. Website designers and developers all charge different amounts, depending on their experience level, where they’re located, who they serve and the type of service they offer e.g. WordPress or custom code. Don’t just go with the cheapest option as it’s not necessarily going to be good quality and it may harm your website in the long run. Shop around, research, read reviews and look at their portfolio. It’s a good idea to actually speak to your designer as well so you can communicate exactly what you’re looking for, although it’s important not to judge the quality of their work on this conversation. They may not be a good designer but they may have awesome sales skills, or they may be an absolutely brilliant designer but struggle with the social side of things. Decide on a designer based on the quality of their work. It’s also important to note that designers and developers are different job roles. Make sure you determine whether the person you’re hiring is just a designer or just a developer, or whether they can do a combination. If you have the budget to hire a professional then it’s well worth it but if you don’t have the budget at the moment, the following two options are great. Difficult – If you’re not tech-savvy. There are plenty of articles and videos online to teach you how to create a website. There’s also the option of just trial and error, although that’s fairly risky… For example, when I was still learning, I put a comma in the wrong place in the code in the backend of a website and broke the whole thing! A comma! I don’t want to completely dismiss figuring it all out yourself as it’s definitely possible (I’m actually self taught myself) but it is the most time consuming option and potentially difficult depending on how tech-savvy you are. For the people who thrive on problem solving and learning new things then this may be a fun project, but for people who want to bang their head against the wall when they’re stuck with tech then perhaps not. A question to ask yourself if you’re considering this option is whether you have enough time to spend doing this or whether your time would be best spent building other areas of your business. Difficult – No, even for non-tech-savvy people! Time consuming – A little, but way less than figuring it out on your own! This option is between the two. The course tells you exactly what you need to know to build your own website so that you save the expense of hiring a professional and you save time because you’re not hunting for the answers and watching/reading unnecessary content. Everything you need is all right there in the course for you to follow step by step at a fraction of the cost of hiring someone to create the website for you. The course that I’m talking about is one that I’ve developed. It’s my baby and I love it! And I really hope you do too! It’s the first course I’ve ever created and the reason I created it was because I could see the gap in between the above two options. I tried to fill it with the starter website design package but it still didn’t quite fill the void. There were so many brilliant small businesses that would be even more brilliant with a bigger online presence, and they got in touch with me because they were craving this amazing website, but they simply couldn’t afford it. Enter, the Website Wonderland DIY Website Course! Website Wonderland teaches you how to build your own WordPress website that is gorgeous AND functional, helping you to make sales online. Now you may be thinking, why would I even consider hiring a professional at all then if this course is so great? The course is brilliant for small businesses with small budgets, but if you’re a more established business with a larger budget then hiring a pro is probably the best option. 1) If the budget is available to outsource tasks, website design is a key thing to outsource so you can focus on what you’re good at. 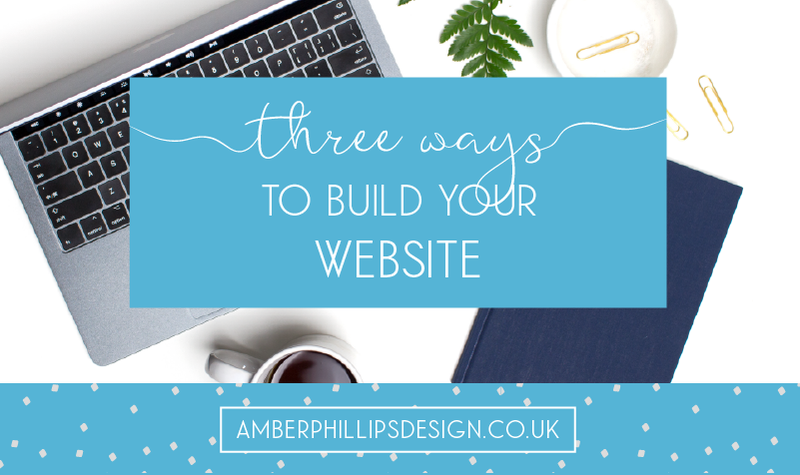 2) You’re likely to need a more advanced website. At the moment the course is £525 if you pay in full or £195 for three months. There are lots of bonuses too! If you have any questions, feel free to email me or comment on my #WebsiteWorries thread on Facebook. I’m always there to help! If you’d like to discuss a custom website project, click here to book a discovery call.